When the Health & Wellbeing Centre is closed, if you need medical help or advice, choose well by using the right NHS service for your needs. For less urgent health needs, contact your GP or local pharmacy in the usual way. Calling 111 will connect you to a team of fully trained call advisers, supported by experienced nurses and paramedics. They will ask you questions to assess your symptoms, and give you healthcare advice or direct you to the local service that can help you best. That could be A&E, the out-of-hours medical service, an emergency dentist or a late-opening chemist.etc. Cambridge Student Health - Comprehensive information on health and local services for students, developed by the GP surgeries in the Association of Student Practices in Cambridge. Overnight and at weekends, there is an out of hours' GP service located at the Urgent Treatment Centre (Clinic 9) at Addenbrookes. This service does not offer walk-in appointments. 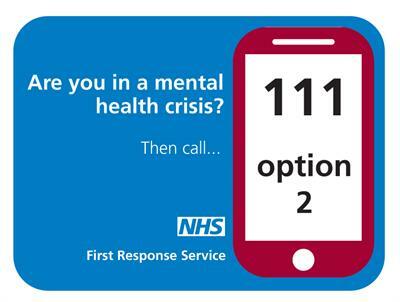 To contact the service you will need to call NHS 111. In an extreme emergency the nearest Accident & Emergency Department is at Addenbrooke's Hospital An extreme emergency is a condition such as a suspected broken bone, road accident, a severe wound that requires stitching, suspected heart attack or any other life threatening condition. Please use this service appropriately!